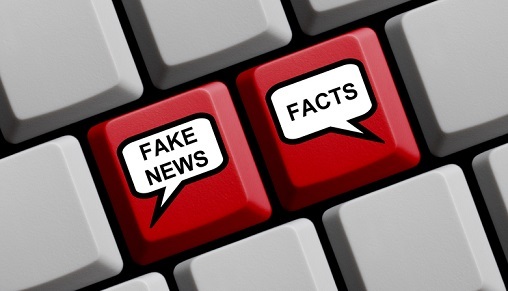 The internet has democratised access to information but in so doing has opened the floodgates to misinformation, fake news, and rank propaganda masquerading as dispassionate analysis. To investigate how people determine the credibility of digital information, Sam Wineburg and Sarah McGrew from the Stanford History Education Group sampled 45 individuals, including PhD historians, professional fact checkers and university undergraduates. “We observed them as they evaluated live websites and searched for information on social and political issues,” Wineburg and McGrew said. The study found that historians and students read vertically, staying within a website to evaluate its reliability. In contrast, fact checkers read laterally, leaving a site after a quick scan and opening up new browser tabs in order to judge the credibility of the original site. “Compared to the other groups, fact checkers arrived at more warranted conclusions in a fraction of the time,” Wineburg and McGrew said, adding that this approach is more likely to expose dubious information. Harvard University’s Usable Knowledge recently compiled a few guidelines to help understand how the study’s findings can be of practical use to students, and teachers who are looking to improve digital literacy in their classrooms. The student participants did something they (and all of us) do often: they scrolled and read down the page. However, their close reading of the very sources they were tasked to interrogate did little to advance their credibility assessment. Instead, it misled them. “The close reading of a digital source, when one doesn’t yet know if the source can be trusted proves a colossal waste of time,” Wineburg and McGrew said. In the study, fact-checkers took more time than historians and students to sort through search results and, though slower to reach their conclusions, were the most selective and most accurate in assessing the integrity of sources. “[Fact-checkers] understood the web as a maze filled with trap doors and blind alleys, where things are not always as they seem,” Wineburg and McGrew said. “Their stance toward the unfamiliar was cautious: while things may be as they seem, in the words of Checker D, ‘I always want to make sure.’"
Takeaway: When you encourage students to read laterally, you should also remind them to exercise restraint and avoid promiscuous clicking. Speed shouldn’t come at the expense of quality verifying – but more efficient, lateral reading will really make the mere minutes most spend searching count.